I love Christmas things that are so simple anyone can do them. 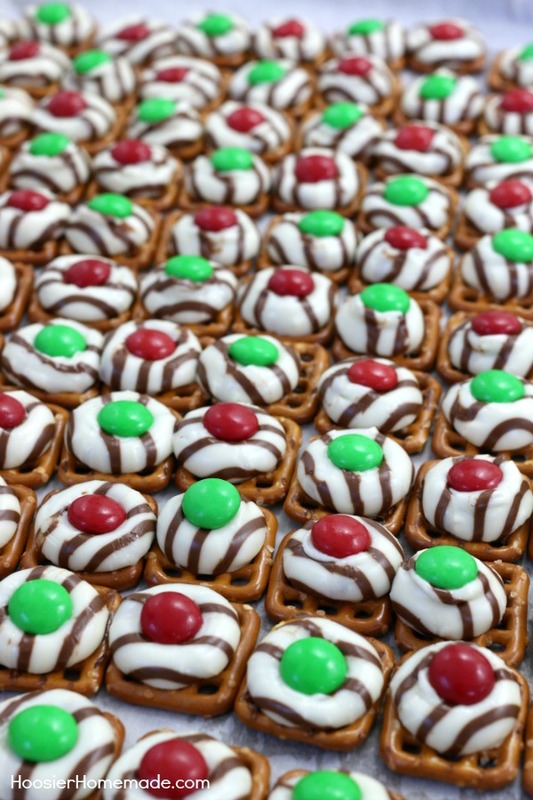 These Christmas Pretzel M&M Hugs are so simple the whole family will love making them. With only 3 ingredients, you can be in Christmas goodies heaven. The good news is that these don’t take very long at all to create. Grab the ingredients and in no time, you’ll be making these. 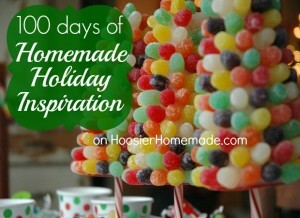 100 Days of Homemade Holiday Inspiration continues with Day 67! Each day we are inspiring you with recipes, decorating ideas, crafts, homemade gift ideas and much more! I will warn you, these are super hard to stop eating. You’ll start making them and easily want more. If you have little ones at home, they will enjoy helping to make these. Or if you are looking for a quick and easy treat to take to a Christmas get-together, these will work wonders. You can even switch these up and make them look cool by switching up the colors and the variety. M&M lovers everywhere, you can rejoice because there is now one more way for you to enjoy these chocolaty delicious minis. I have been making these for the last 3 to 4 Christmases, and they are always a favorite! I’d love to feature them in a Christmas treat round up on my blog! Hi Jenna, thanks for asking! Feel free to use a photo and a link back to the pretzel hugs. Please don’t include the recipe though.